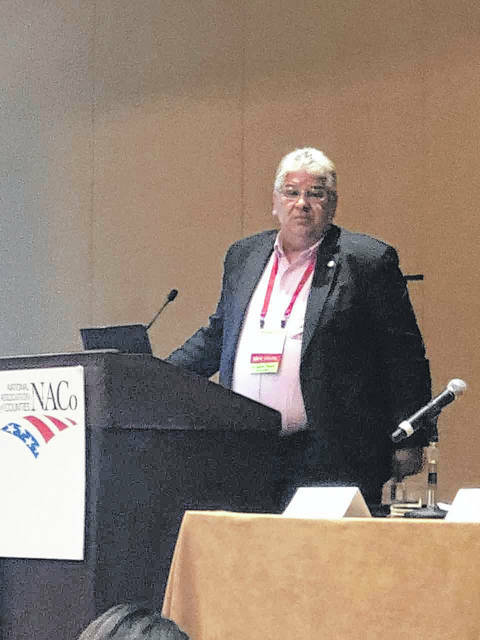 LUMBERTON — The chairman of the Robeson County Board of Commissioners was the guest speaker at the National Association of Counties Annual Conference. Raymond Cummings spoke about the land use planning of large-scale solar development during the conference that took place recently in Nashville, Tenn. Solar energy development is expanding in many communities nationwide and he spoke of the importance to outline the community concerns and attributes that can lead to a successful implementation of solar development. Cummings spoke about community impact, balancing renewable energy and community acceptance, and the creation of zoning restrictions for solar development. “In the development of renewable energy compromise can be achieved through education, patience and willpower,” Cummings said. The conference provides an opportunity for elected officials and county administration from across the country to collaborate on county government topics. 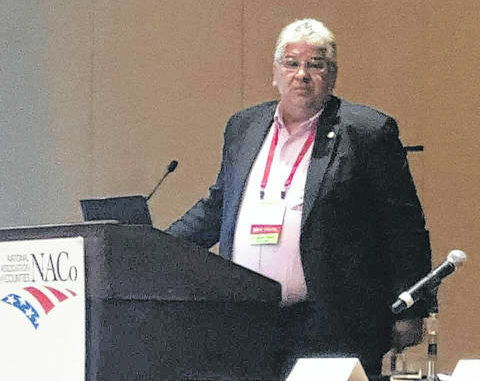 Raymond Cummings, Robeson County Board of Commissioners chairman, speaks about solar power during the National Association of Counties Annual Conference in Nashville, Tenn.